WCPE Episode 250 – LIVE From Planet Comicon 2019 – WORST. COMIC. PODCAST. EVER! You are in for a real treat today, loyal listener! For you are about to experience in your ears the 250th episode of the WORST. COMIC. PODCAST. EVER! This episode was recorded LIVE at the 2019 Planet Comicon in Kansas City, MO, on March 30 before the best panel audience ever assembled. Before we could even get started, we had to debut our brand new THEME SONG! We have had this in development for a while, but we saved it for this anniversary celebration. Big thanks to Brent Kincade and Steve Ames for their help with the tune! John put together a fun Spider-Man-themed game, coming up with future movie titles for the Tom Holland franchise. Then we answered audience questions, that ranged over who would win in a fight (we picked Cullen because he climbs mountains! ), what are other interests outside of comics include (seriously, ask Jerry about his proposal story), and our guilty pleasure comics (John loves the TRaSh-80s). Now, we couldn’t get to 250 episodes without some thanks along the way. From the con, big thanks to Chris Jackson and the Planet Comicon crew for hosting the best party in Kansas City. As always, a huge thanks to the podcast sponsor, Clint’s Comics, located in the heart of Kansas City at 3941 Main St. 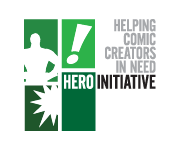 Tags: Live, Planet Comicon, The Hero Initiative, Worst. Comic. Podcast. EVER!